The decision being made, at that time the owner will contact his/her insurance carrier to discuss adequate cover for the projected voyage & for the carriers to instruct owners of their requirements: e.g. correct manning of the vessel with experienced mariners; navigational limits of cover relating to time of year, weather, political instability & the vessel’s capabilities etc. The carrier will want to be assured of the crew’s ability to accomplish the voyage in a safe & timely manner. At this time the owner will want to put the projected voyage out for bidding to Professional Yacht Delivery people. After much discussion & completing the selection process, the professional captain & crew will want to spend a reasonable amount of time examining all aspects of the vessel to judge its capabilities & level of equipment, financial planning, ensuring the correct papers are aboard & the 100 & 1 details that go into the making of a successful voyage. Other voyages may well be newly built yachts destined for the charter industry, being delivered by professional crew from their builders to designated cruising grounds around the world. In general these voyages are undertaken because there are no other options on offer. The value of a professional yacht delivery captain & crew should not be under estimated. Every year the press carries unbelievable stories of yachts, & yacht crew, either being lost at sea, or rescued at some danger & cost to the rescuers. News of successful delivery voyages never makes the headlines. The average boat owner, while expert in many fields, lacks the experience to captain their vessels on a long distance voyages. Let’s face it! There is always the potential for a tragic outcome when a person lacks the advanced skill of an experience blue water yacht delivery Captain. Hiring a highly experienced deep water offshore delivery service is the best option for transporting your precious boat safely to its final destination. Simex International - Marine Surveyors Fort Lauderdale offers experienced Captains for transoceanic yacht delivery. It’s important that a boat owner takes great care when hiring a transatlantic vessel delivery company. Of course, numerous websites can be found that offer small and large boat ocean route vessel delivery and in all honesty, many of these websites can be rather extravagant. Unfortunately, cool looking websites do not mean that the company is reliable, reputable or experienced in transatlantic boat delivery. To assure the safety of your yacht, you will need to find out as much as you can about the yacht delivery Captain as well as his company. Simex International - Marine Surveyors Fort Lauderdale provides the safest ocean route vessel delivery services by a highly skilled and well qualified Captain. When someone hires an ocean route yacht delivery service for a transatlantic transport, he should book with the company as early as possible. There are so many people who think they can call the company and have everything set up within a few days. This is a rare occurrence for boat delivery services. In order to ensure that you can have the best vessel delivery date for your needs, it would be wise to contact a reliable & experienced transoceanic delivery company as soon as you know the time frame for the projected voyage. 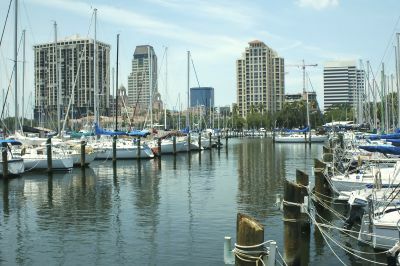 The Captains at Simex International - Marine Surveyors Fort Lauderdale do everything possible to ensure that they stick to the agreed schedule to ensure proper yacht delivery is on time. At Simex International - Marine Surveyors Fort Lauderdale, we take the transoceanic delivery of your yacht very seriously. Our clients receive detailed reports on the general condition & progress of the voyage utilizing satellite ‘phone & tracking systems. Call 954-854-8181 to schedule your ocean route yacht delivery today.